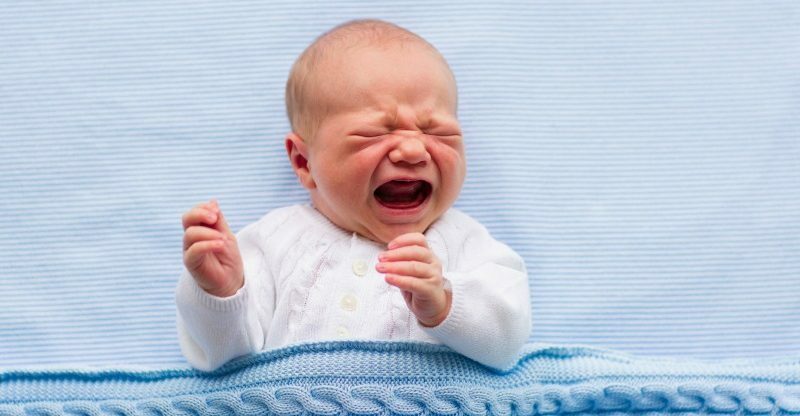 Colic – the term used to describe regular bouts of unexplained crying in otherwise healthy infants – affects one in five infants. 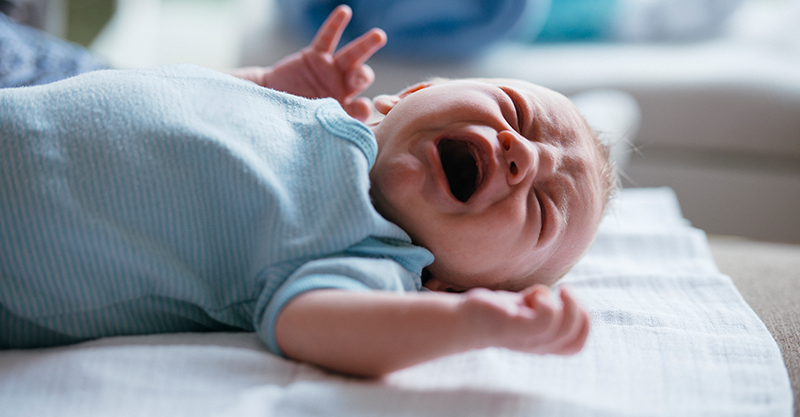 If you’re the parent of one of these very upset babies, let us catch you up on the latest colic-busting theories and possible treatments. Let’s talk treatments first. Excitingly, a recent review of studies from four different countries has found that giving a particular strain of probiotic to colicky babies may help reduce the amount of time they cry each day. Lactobacillus reuteri (L reuteri) was the absolute hero strain that settled the study’s colicky infants. While breastfed babies significantly benefited from this probiotic, the research into its use for formula-fed babies is still to come. This interesting research could be a big step for all those families trying to cope with a colicky baby. We’ll keep you updated on further developments and treatments. As if it weren’t distressing enough dealing with a crying baby, the thought that they might be in pain makes tired parents feel even more dreadful. When diagnosing colic, doctors will systematically rule out health conditions that may be causing real pain or distress. Recent interest in ‘good’ bacteria and ‘bad’ bacteria in the gut, has scientists exploring the role probiotics may play in improving overall health. As we said, they’re even exploring the relationship between gut health and colic in babies. The latest research is very, very promising. As detailed above, probiotic Lactobacillus reuteri has been shown to be helpful in relieving colic in breastfed babies. Products like BioGaia Probiotic Drops* contain this Lactobacillus reuteri, and are a simple way to administer these helpful probiotics to infants. BioGaia Probiotic Drops* are the only colic product on the market that contains this probiotic strain. Again, this one’s not proven. Actually, there also exists an opposite theory that colicky babies are under-stimulated. Sigh. Wrapping or swaddling your baby tightly can be calming and may help relieve colic symptoms, perhaps because it mimics the way infants are held in the womb. Theory 4: It’s new-parent anxiety – not colic! Babies don’t cry excessively just because you’re feeling anxious about being a new parent. Yes, they can pick up on your body language and temperature, and can sense how relaxed you are. But colic is not the result of your parenting style, so don’t blame yourself. We suggest simply focusing on soothing rituals such as baths, calm music, and keeping baby close in a sling or carrier. Anything that calms both you and baby is worth trying. Crying in infants is universal and healthy. It peaks at around six to eight weeks, then gradually eases as the child grows. Crying is hardwired behaviour, and there is nothing abnormal about it. Colic is just the high end spectrum of normal, natural crying behaviour. If you’re feeling concerned that it is abnormal, yet your doctor has diagnosed it as colic, rest assured, you’re doing nothing wrong – the very fact that one in five babies have colic means that a handful of other mums at the park are in the very same boat as you. Comfort: Try responding quickly to your baby’s cries and make sure they’re as comfortable as possible. Soothe: Many babies like to soothe themselves with sucking, so a dummy may help. Bath: A warm bath and a gentle massage can help calm babies down and assist with settling. Motion: Rocking, patting, or simply taking your baby for a walk in the pram can distract babies and often the motion rocks them off to sleep. Cuddle: Holding baby close with a sling or a carrier can give them the reassurance they need at this early age. Noise: Many mothers find a gentle background noise like soft music, or white noise, works wonders. Support: Caring for a colicky baby is exhausting. Get as much support as you can, and be sure to talk to your GP or baby nurse for ongoing health advice. *BioGaia Probiotic Drops contain active ingredient Lactobacillus reuteri. Always read the label. Use only as directed. If colic symptoms persist, please see your healthcare professional.